At KQED, we’re all about increasing access to media literacy education so that more students and educators can make their voices heard. Want to help us in our mission? We’re looking for teachers with a range of experience to share their stories about using and making media in the classroom on our blog. Your stories can help other educators just getting started in their media literacy journey gain the confidence to try out new techniques and tools. Your creative problem-solving, tried and tested methods, and thoughtful explanations of what didn’t work will give even the most media-savvy educators new ideas. Ready to reflect on your practice? Ready to raise your voice? We’re ready to read your post! Expanding the concept of literacy to encompass media analysis and production. 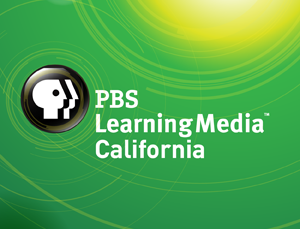 Challenges, improvement, and iteration when teaching media literacy skills. Elevating youth voice, developing real-world communication skills, and connecting youth to authentic audiences. Inquiry-based learning using and making media, including developing critical thinking skills and helping students find reliable information online. Strategies for authentic, formative and peer assessment of media projects. Strategies for managing resources, technology and time when teaching with media. Then submit the Google form below with your post idea. Questions? Contact Janelle Kim: jkim@kqed.org.